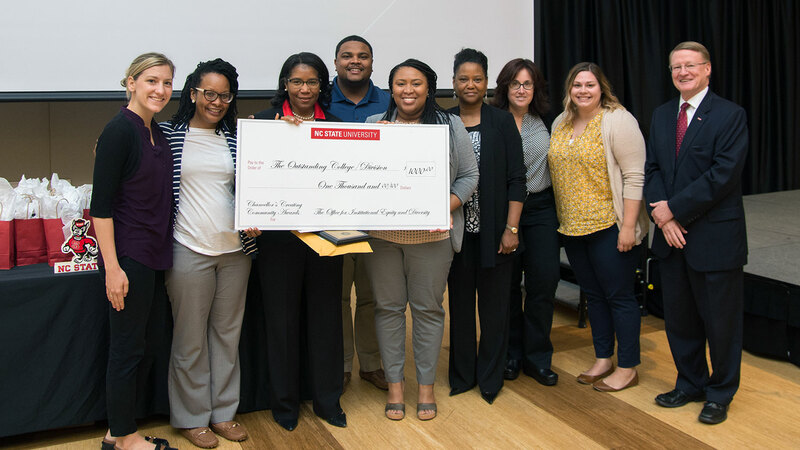 The Office for Institutional Equity and Diversity and the University Diversity Advisory Committee invite nominations for the 12th annual Chancellor’s Creating Community Awards. Recipients will be announced at the awards program on Thursday, April 26, 2018 from 9:30-11:00 a.m. in the Piedmont Ballroom, Talley Student Union. One award will be given in each area. Colleges/divisions and student organizations may self-nominate. Note: OIED staff and other university employees whose key job responsibilities connect with equity, diversity and inclusion are not eligible for these awards. In addition, student organizations focused on equity, diversity and inclusion may only be nominated for the award if their activities exceed the scope of their organization’s mission and objectives. The deadline for nominations is Friday, March 30, 2018. Contact Dr. Tracey Ray or Nicole Robelo with questions.